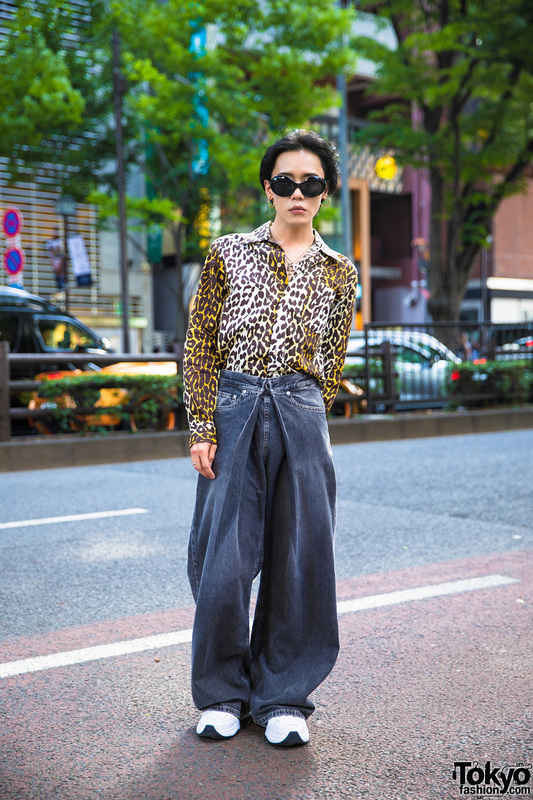 Harajuku guy wearing a casual look while out and about on the street. 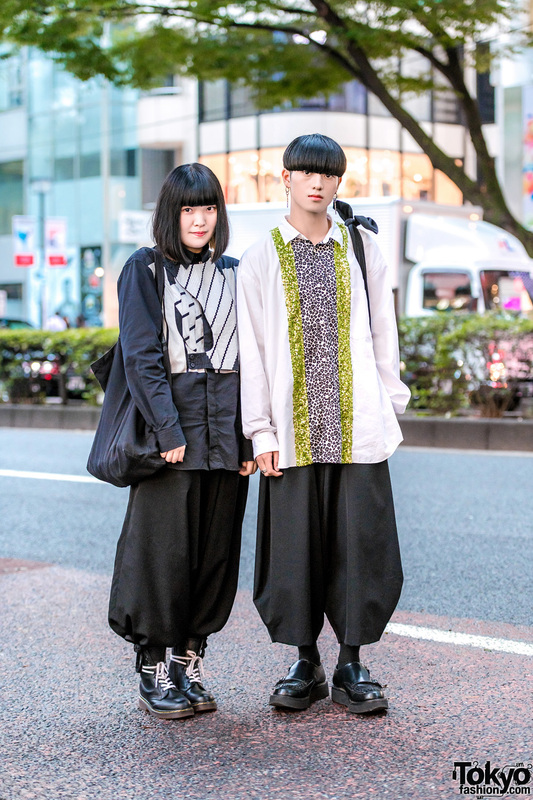 Harajuku guys sporting grunge streetwear styles while out on the street one afternoon. 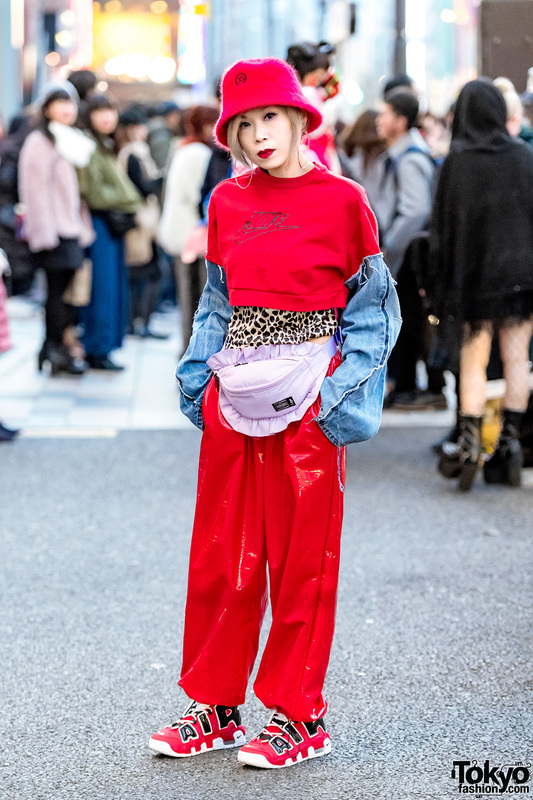 Bunka Fashion College students showcasing mixed prints street styles while out on the street one evening. 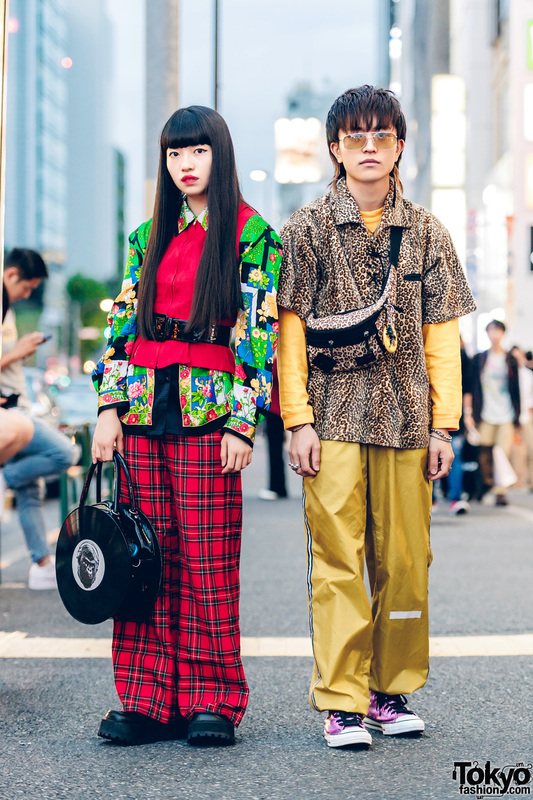 Japanese duo in retro-inspired bold printed street styles while out and about in Harajuku.